The operation will run for three weeks and there will be five different submarines, each with their own unique commanders and load outs to use during the operation. 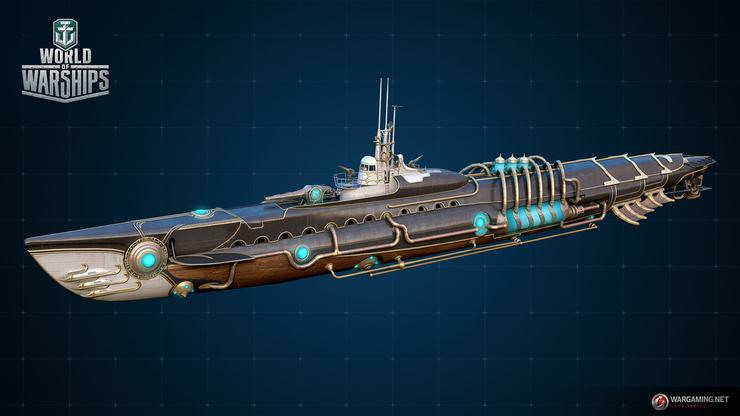 Players will start off with the Barracuda in their Port and each of the other submarines can be unlocked throughout the operation for completing certain criteria. With the addition of the submarines, different depths will be introduced. Changes in depth will affect visibility and the possibility to attack depending on whether players are on the water’s surface, periscope depth or deep waters. The additional submarines are the Zipper Sub commanded by Mina Hurray, the Gerfalcon commanded by Ivan K. Ulibin, the Seelowe commanded by Lazarus Centurio and the Killer Whale commanded by Klaus V. Teslau. After the operations completion, Wargaming say that the World of Warships team will evaluate community feedback and consider introducing submarines as the fifth ship class in the game. For more information, visit https://worldofwarships.asia/.